Everyone knows you can count on Evan Jessen and the SDCOASTAL Group to get the job done. When you work with them on the purchase or sale of your home, investment property, or property management, you are working with professionals who listen to your needs and focus on what matters most to you and your family. We guarantee you will get the service you deserve. It’s not just about getting your home sold, it’s about getting it sold in less time with less hassle for more money. When you hire us you have a better chance of getting your home sold, getting it done in a shorter time, and netting more money. If you have a $500,000 home and we are netting 4% more than the competition that’s $20,000 more in your pocket. That’s why people hire us. Financial advantage and customer care are the distinguishing benefits that the SDCOASTAL Group brings to the table. 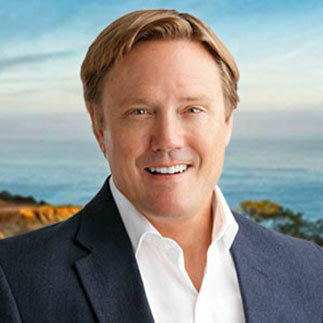 With graduate studies in Finance, Investment and Development at the University of San Diego, and a Bachelors of Science degree in Real Estate Finance from San Diego State University, Evan offers commercial level financial consultation his clients to support them in making decisions that enhance their lifestyle as well as their financial well-being. Evan combines his formal education in real estate finance with over 20 years of consultative sales, negotiating and marketing expertise to create a dynamic and individualized marketing program for his clients. His team will always maintain a positive, helpful and enthusiastic approach in going about their business. First and foremost they will take care of the business at hand, but have fun and enjoy the camaraderie of working with their clients in the process.